There are 25 spaces for the various building choices you have available, but you don’t have that many to play with in reality as you need one of each type of building until you reach Headquarters 21. You should have one of each type of building to help you level up your headquarters as you grow. 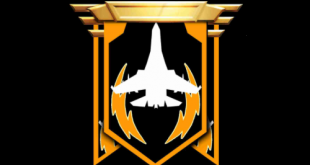 Aside from this aspect, You have several methods for building your base up in Mobile Strike. 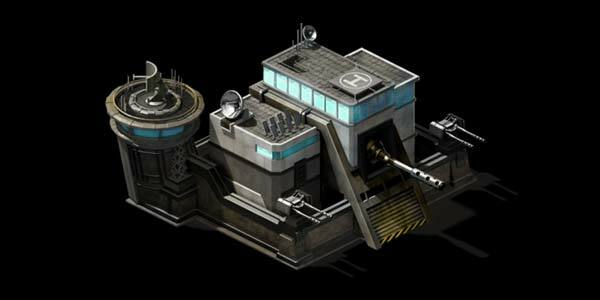 There are three main buildings that one will need varying numbers of depending on your current power and role, which can be seen in the image below. Training Grounds: used to train different varieties of troops, and the more of them you have and the higher the level they are, the more you can train at once. Every five levels they confer a boost to overall Troop Defense, and at the highest levels of the game, this boost can be very important. At lower headquarters and power levels, it makes sense to have a smaller number of them. As you rise in headquarters level and power, it becomes more preference than anything else. Banks: produces coin for your base, and boosts troop training speed. The higher the level of bank, and the more of them you have, the faster you’ll be able to train troops and the more coin you’ll produce and be able to store. At level 21, each bank will also confer a 2% boost to overall Troop Attack. The most important benefit is the training speed boost, so you’ll need to keep that in mind depending on what your current goals for your account are. Hospitals: If you are attacked, your troops will occupy your hospitals until they overflow the hospital capacity. Only after your hospital capacity is filled, then your troops will die, so the more of them you have, the more troops you will save when attacked over time. At level 21, they also confer a 5% boost to overall Troop Health. There are several ways to divide up your interior building plots. At the lower levels of gameplay, it’s best to have enough hospitals to cover all of your troops, thus insuring you don’t have any troops killed defending (they are injured and stay in your hospitals until healed). At larger power amounts and higher headquarter levels (usually not until headquarters level 21), it may make more sense for you to have a larger number of training grounds to increase your troop defense (every five levels, training grounds add a boost to Troop Defense, maxing out at 10% per training ground at level 21). If you are large enough to contend for the control point or global control point, this also may be beneficial to you for the purposes of increasing your defense while attacking/trying to hold control points. For most power levels, if you intend to stay shielded when not joining rallies, it is most efficient to have a mix of all three buildings, with more hospitals and banks than training grounds. Training grounds and banks maximize your troop training output at a quicker speed (more training grounds = more troops can be trained at once, more banks = higher training speed). while hospitals will help save the troops you already have if you are attacked. 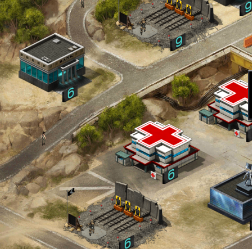 If you intend to take hits defensively, you’ll likely want to have more hospitals than anything else so you can reduce the amount of your troops that are killed if you are attacked, as the more hospitals you have, the greater hospital capacity you have (higher hospital levels make this even more noticeable) and at level 21, they confer a health boost. Outside your base walls, the tiles are used for resource production. It is best to have at least one of each type of resource structure, and to concentrate on one as a focus (colloquially called “hyperfarm(ing).” For more details on setting up resource production, please see this article on setting up farm accounts for more specifics on setting up your base outside your walls. If you intend to use only your main account for resource production, I would recommend having more farms for food production that the other resource plots, particularly in the earlier stages of the game when you have much lower troop numbers. If the current pattern of carrying things over from Game of War holds, then commander gear with Upkeep Reduction are not far off so food production will be much less important. In the earlier stages of the game, four or five of each other resource plot (Iron Mine, Oil Well, Quarry) should be enough, as it becomes impossible to have positive food production when you get more troops, you’ll likely get more use out of higher numbers of the other three resource plots than farms. You should think of your base setup, both inside and outside your walls, as fluid and changeable. While one setup may be perfect for a period of time, another will become more practical as you grow in power and headquarters level. You will likely need to supplement your resource production with gathering, or ask your alliance for help with resources. Just be sure to return the favor when others ask. At lower levels, it’s suggested to keep enough hospitals built to cover all of your troops, have minimal training grounds (one to three, four max), and build banks on the rest of the plots. At higher levels, you’ll still want a good number of hospitals until you have so many troops that they will play a minimal role in saving troops (think like five million+), then switching to more training grounds for the added defense boost should be more beneficial. Hospitals and training grounds are the more resource-intensive of the the choices inside your walls, so try to tear them down as infrequently as possible. What is optimal trop ratio for taking rallies and winning battle and maximizing power exchange.